According to Deadline, director Lenny Abrahamson, who made the critically lauded Room, will direct an adaptation of Donald McRae’s book A Man’s World: The Double Life Of Emile Griffith, about a boxer who was secretly bisexual. 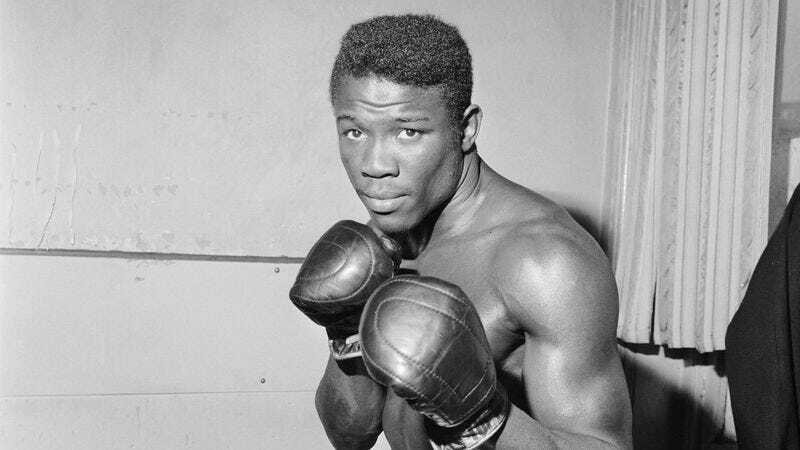 Emile Griffith won world titles in two weight classes, and, after Benny “The Kid” Paret called Griffith a homosexual at weigh-in one night in 1962, Griffith beat his opponent into a coma on national TV. Paret never regained consciousness and died 10 days later. Upon confirming the deal, Abrahamson, who will co-write the script as well as direct, said Griffith is an “incredibly compelling character.” The director added that Griffith had “a gentleness and innocence” that was sometimes snuffed out because he “inhabited two worlds—the underground gay scene in New York in the ’60s and the macho world of boxing. The societal stigma at that time was dreadful and created a crushing pressure on him.” Abrahamson noted, “Griffith himself once said a quote that just floored me. ‘They forgave me for killing a man, but they couldn’t forgive me for loving a man.’” Sounds like a good sound bite to deploy against annoying people who still picket movies about homosexuality.